CAN NOT STAND THREE LEGS BECOME TWO? 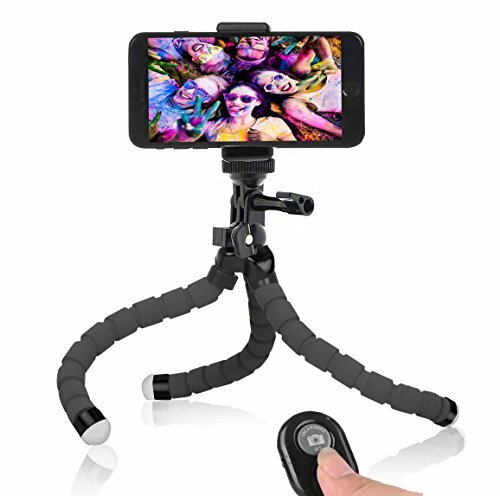 Take the perfect photos and selfies with an Anconic Phone Tripod that gives you the best angles and versatility on the market! If you want a tripod that's as rugged and mobile as you are, but still gives you chance to take professional-grade photos, then our Professional Series Flexible Tripod is absolutely perfect! Complete with the ability to stand on or adhere to most any surface, our tripod will ensure you always get the best shot, no matter where you may be. ✔ Tripod is lightweight and easy to use. ✔ Dense foam-padded legs for ultra-stability and durability. ✔ Flexible tripod can stand or wrap around base on allmost any surface. ✔ Metal connecter, more durable, providing any shape you wants without worries. Anconic try to give the best experience in every way. We stand behind everything we sell. Return anything purchased from us at any time if it proves otherwise. We do not want you to have anything from us that is not completely satisfactory. If you have any questions about this product by ZANCONIC, contact us by completing and submitting the form below. If you are looking for a specif part number, please include it with your message.